Varun Nikore is president of AAPI Victory Fund. For more than 25 years, Mr. Nikore has been involved in national, state and local politics as a campaign strategist, fundraiser and policy advisor. In 1998, Mr. Nikore was appointed to serve in the Clinton Administration. 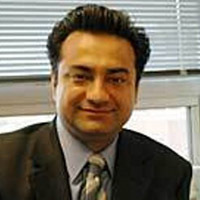 He is founder and past-President of the Indian American Leadership Initiative, the largest Indian American network of Democrats in the U.S. Varun also served as President of the Democratic Business Council of Northern Virginia from 2011-2013 and currently serves on their Board of Directors. In 2008, Varun served as a Transportation Policy Advisor for Obama for America. In 2012, he served as co-Chair of the Small Business Owners Council for the Democratic National Committee. Appointed by Governor Terry McAuliffe in 2015, Varun currently serves on the Board of the Virginia Commercial Space Flight Authority as well as the Virginia Offshore Wind Development Authority.